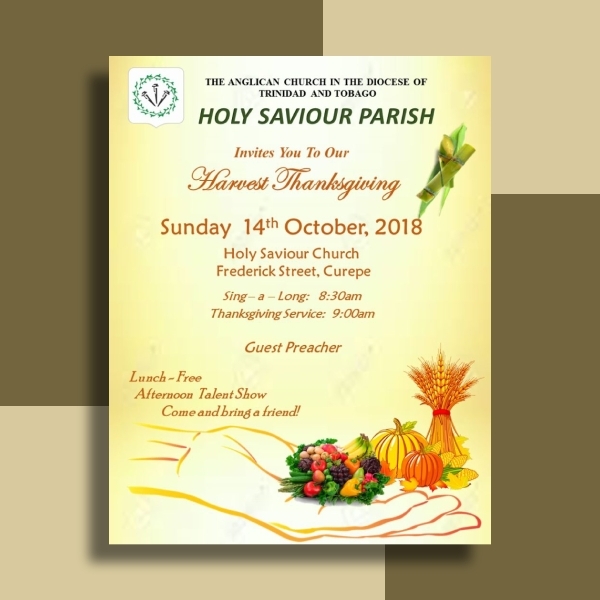 Thanksgiving Day is a national holiday widely celebrated in the United States, Canada, Liberia, and some of the Caribbean islands during different dates. In addition to celebrating the holiday with thank-you speeches and greeting cards, it’s now a season that businesses thrive on to increase customer engagement. Learn how you can make the most out of the holidays with the perfect Thanksgiving designs presented in this article. Autumn, food, family, turkeys, and pumpkins are just some of the things that come to mind whenever we think about Thanksgiving. 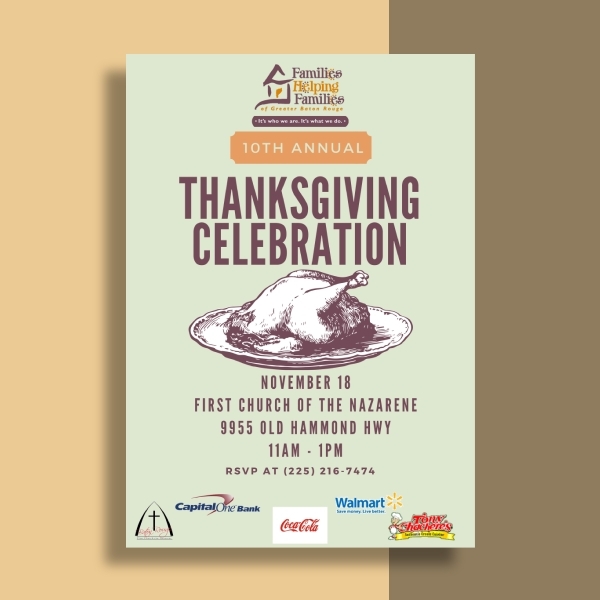 So when designing a promotional flyer, discount voucher, or event poster covering this theme, there are a few elements that every Thanksgiving design must have. 1. Overall Goal: Are you creating a DIY greeting card to send your greetings to family and friends, or are you designing an email newsletter to thank your online subscribers for their support in the past year? Always consider the actual purpose of the material before designing it. 2. Color: Color is a powerful element that has the ability to set the tone of your design and evoke a desired emotion from its audience. 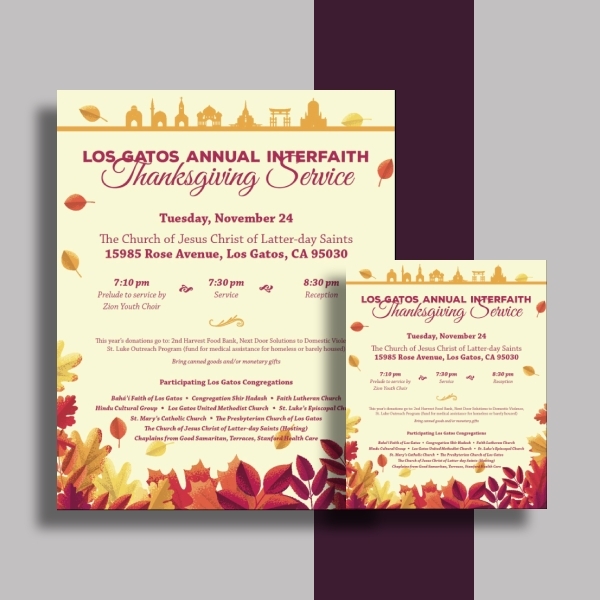 Fall colors, which comprise of red, orange, and yellow shades, are the common choice for any Thanksgiving-themed design. Earthy tones may also be incorporated for a more wholesome approach. 3. 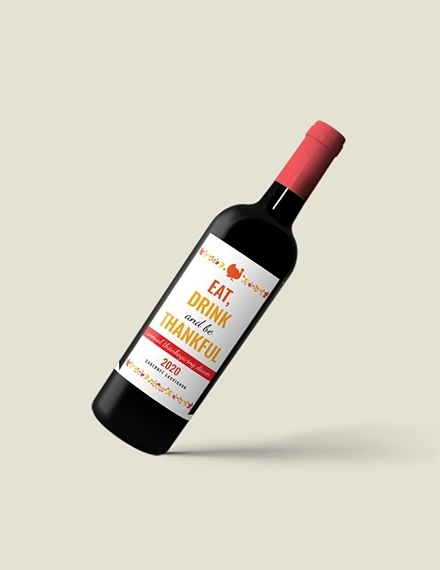 Text: Apart from the usual font choices, the copy of your Thanksgiving design does matter. 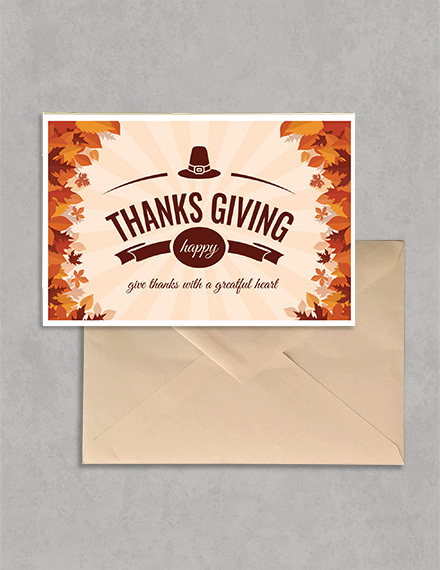 Some designs may carry words of gratitude or a simple Happy Thanksgiving greeting as its headline. This prompts a viewer to pick up the material and continue reading what it has to say. 4. Material: This would depend on the type of media you are creating. 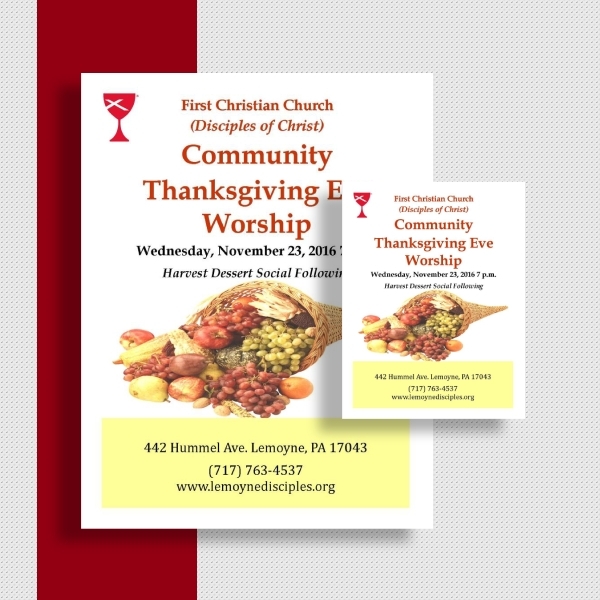 Some Thanksgiving designs may be used as thank-you labels during personal gatherings, while others could be used as trifold brochures and other marketing devices. It’s best to choose something more durable so it could last longer, especially if you plan to use it in the future or keep it until the end of time. 5. AIDA: No, this has nothing to do with your cousin Aida. The abbreviation simply stands for (A)ttention, (I)nterest, (D)esire, and (A)ction. In short, your text and graphic elements should be compelling to earn a second look, interesting to keep a viewer intrigued, desirable to make the reader want the product or service being highlighted, and good enough to cause a desired reaction. Before you put pen to paper, you need to imagine how you want your Thanksgiving design to be. Will turkeys and pilgrims be your main attraction? Or do you want to keep it simple with a fall-themed layout? This will help you determine the overall look and feel for your Thanksgiving design. Once you have your thoughts and ideas in place, you need to visualize how you could put everything together on your layout. It’s important to organize your text and graphic elements accordingly to make sure they complement one another and suit the message you want to convey. If you’re making a brochure or catalog, you need to design a layout for each page as well. Now that you have all the essentials in place, it’s time to make the necessary adjustments to your design. If you’re using an editing software like Adobe Illustrator or Photoshop, you can easily personalize colors and text styles to meet your requirements. Consider cropping or resizing images to maximize negative space as well. The last thing you’d want to do is to overwhelm your audience with a cluttered layout. The rule of thumb specifically states that anything that deals with the web should be in RGB, while a CMYK color model must be used for color printing. 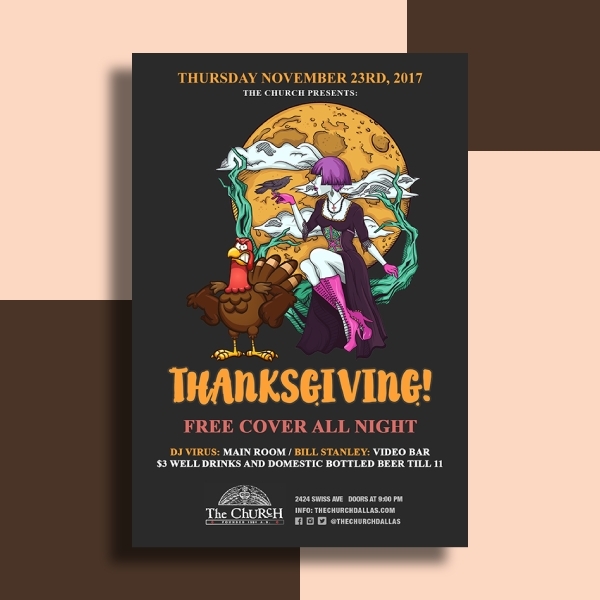 This will help you achieve the best quality color for your Thanksgiving designs that is sure to attract much wanted attention. Other than that, be sure to review your design for any spelling or grammar errors and see to it that the images used are of high resolution. Keep it sincere: This is especially important when you’re creating a set of greeting cards or newsletters for a specific audience. When readers feel your sincerity through your tone and choice of words, it builds a personal connection that will keep them thoroughly engaged to whatever it is you have to offer. The best way to do this is to put yourself in the shoes of your customers or recipients. Limit the use of fonts: You don’t need more than two fonts to make your design attractive. Oftentimes, the simplest designs leave the biggest impact. It’s also important to select a font style and size that’s readable even from a distance to make it easy for your audience to read. 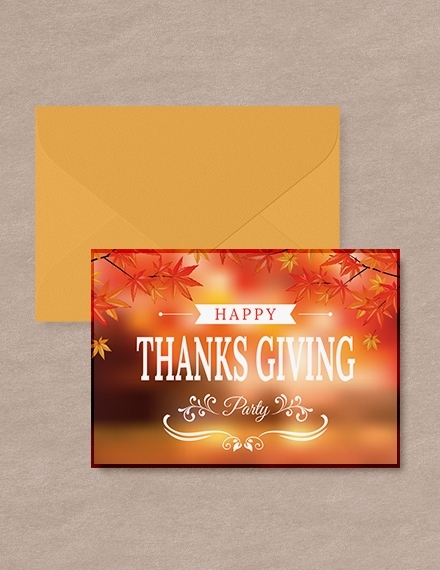 Create a custom design: Generic Thanksgiving designs depict laziness and poor taste. 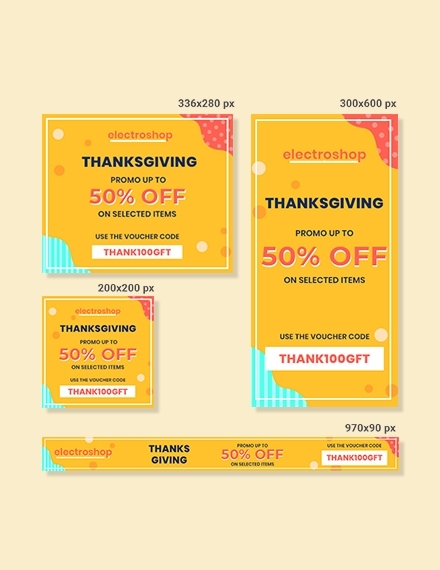 These forgettable designs have no place in a Thanksgiving holiday card or whatnot, so it wouldn’t hurt to put a bit more time and effort into your layout. You can even tailor each design according to the likes of your audience. That way, you can make a great impression during one of the most celebrated holidays of the year. Use simple statements: There’s no point in sounding sophisticated or fancy if it fails to deliver your message with clarity. Instead, it’s a good idea to stick with common language that the average person can understand. You’re free to use Thanksgiving jokes and puns for a friendlier approach, as long as it’s easy to catch on. Get the imagery right: Whenever you use photos, illustrations, or any type of images, you need to make sure that they communicate the right message. Although professionally shot images are a good idea, you can always look for pictures that don’t look like stock images. 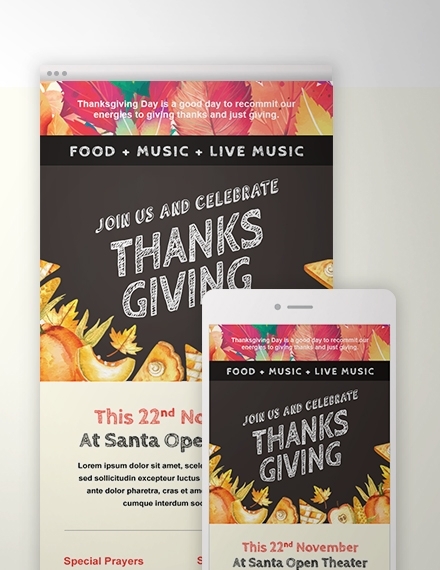 That way, you can produce an attractive Thanksgiving design without breaking the bank. 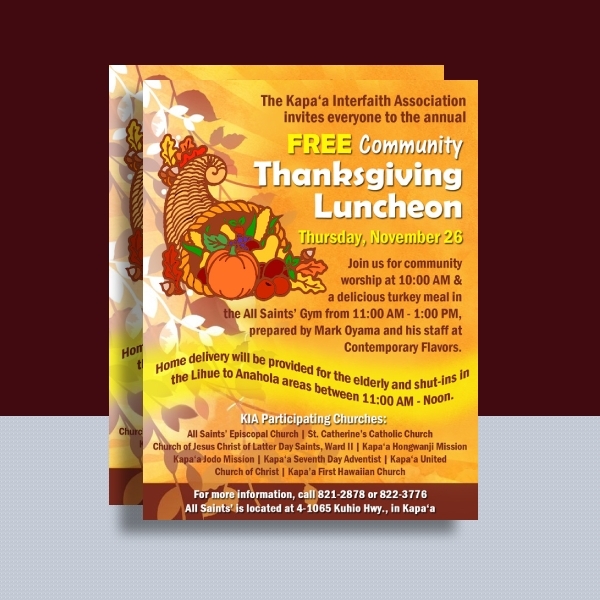 Listed below are some of the best ways to apply your Thanksgiving design. Probably the most popular from the group, holiday greeting cards and thank-you cards are an absolute best-seller during Thanksgiving. People who are miles away from home often send these cards to family and friends during the holidays to help keep the spirit alive. This is also common among military families who don’t get to communicate with their loved ones so often but still want to acknowledge them for their service to their family and to the entire country. And considering how Veterans Day in the U.S. is just close by, it’s never too early to send your Thanksgiving greetings. Thanksgiving posters have a variety of functions. You can use the poster to promote upcoming events, holidays specials, and product deals, or even to inform customers and employees of store and work schedules. You can even display hanging posters in your store’s window to give passersby something to look at. Flyers are basically a miniature version of a standard poster. The only difference is that flyers tend to be more informative and require to be distributed in public places to widen its reach. You can use a flyer to inform, educate, or raise awareness about a particular event or campaign. With the amount of Thanksgiving lunch and dinner parties you’ll be attending this year, it’s safe to say these invitation cards won’t become a thing of the past anytime soon. Although print invitations may not be as common as they were before, some people still value the use of invitations even in its digital form. This is great for inviting guests to your family or company gatherings to celebrate the holiday together. The holidays are the best time for businesses to reach out to their employees and customers. If you’ve subscribed to a company before, you might have noticed how common it is for brands to send business newsletters over Thanksgiving. It could be to advertise a product or service, or to simply express their thanks for your continuous support in the past year. The adorable image of a turkey in a Pilgrim’s attire is sure to put a smile on your face! 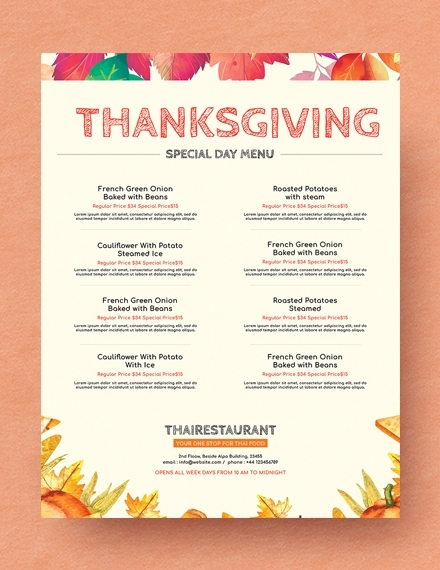 How can I make a Thanksgiving design? If starting from scratch doesn’t excite you, you can always opt to use a ready-made holiday templates instead. The great thing about templates is how they’re designed to meet industry requirements and to cater to any desired purpose. That means you don’t have to worry about staring at a blank page for another minute too long. 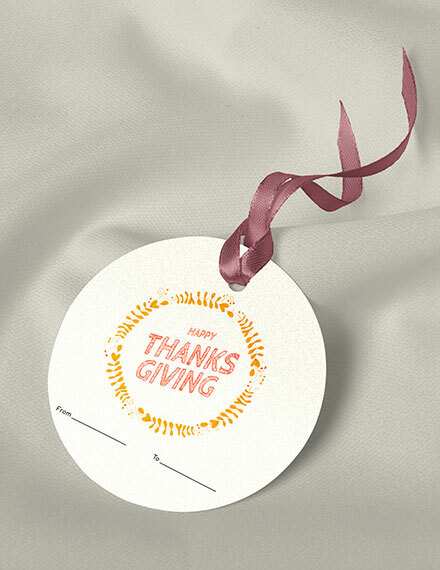 Remember to customize these templates before you proceed to printing (or publishing) to ensure a great quality Thanksgiving design. 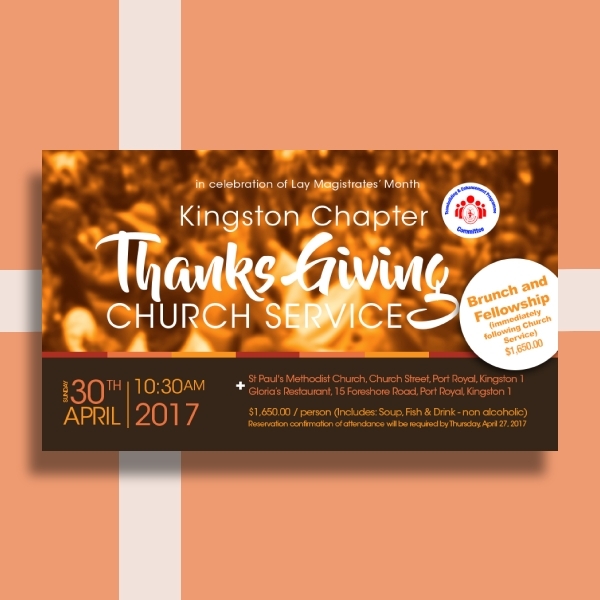 What is the purpose of a Thanksgiving design? People tend to get pretty festive to be one with the season. This is the perfect time for businesses to take advantage of the festivities by incorporating the holiday into their advertising campaigns. 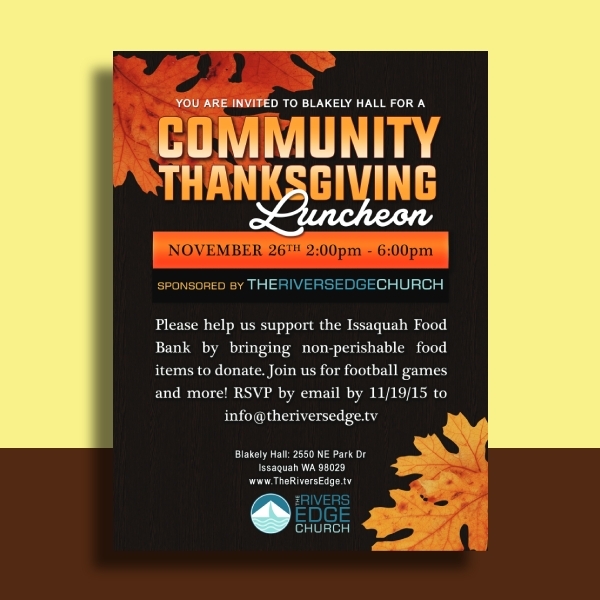 We can see everything from Black Friday Sale posters to potluck party invitations for Thanksgiving dinner. 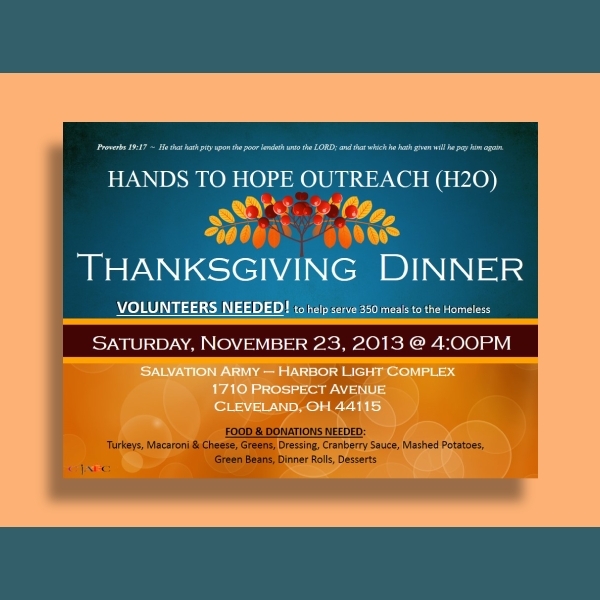 By using a Thanksgiving design, you can stay relevant and on top of a person’s mind all year round. 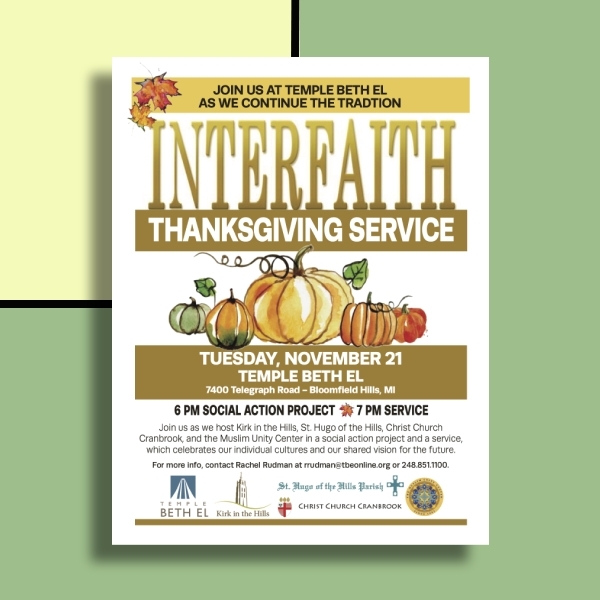 Why are Thanksgiving designs important? As soon as the Halloween decors are pulled out, the Thanksgiving theme becomes the front and center of every household and retail store you can find. Keeping up with the latest holiday trend is something that businesses must get into in order to retain consumer engagement and generate sales even during the most competitive time of the year. These designs may be used for personal celebrations or marketing efforts as well. So what are you waiting for? 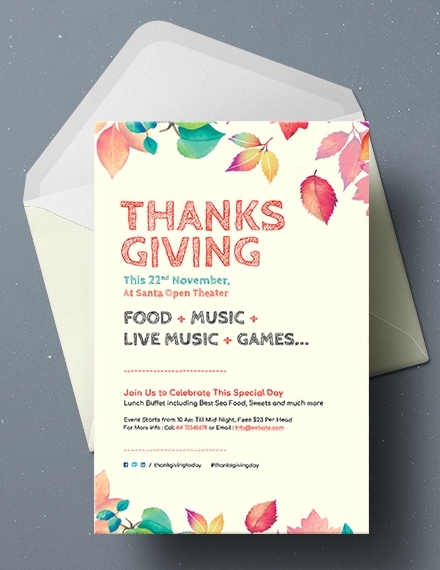 Celebrate the festive season more creatively using these Thanksgiving designs and templates!